Against the backdrop of the incessant provocations of Serbia's Defence Minister Alexander Vulin to neighbouring countries, and especially Croatia, the draft [in Serbian language] of a new national security strategy, published for public discussion by his ministry, makes an unsuccessful attempt to bring peace. The draft reveals the same inherent contradiction of Serbia, torn apart between illiberalism and liberal democracy, between east and west, between the near and far past. It is hard to unequivocally conclude from the document what is Serbia's aimed direction which means that, if it is adopted without change, the strategy promises more of the same in the coming years. 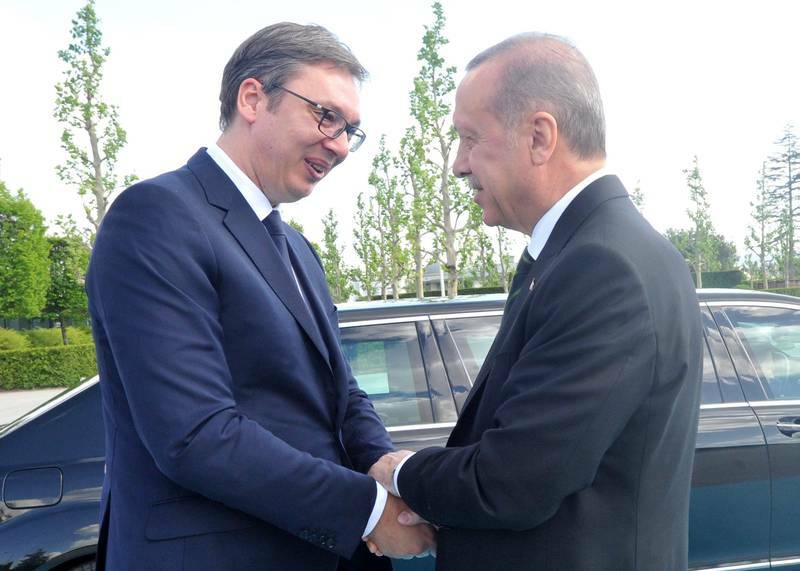 And this will hardly contribute to calming the region of the Western Balkans and to its European integration. Kosovo makes a central part in the draft strategy. The document reaffirms Serbia's policy of non-recognition. As potential risks for the security of South-Eastern Europe in the strategy are quoted separatist tensions, ethnic, religious and political extremism, in addition to economic and social issues, migration, organised crime, fragile state institutions and natural disasters. Separatist tensions are outlined as the threat, especially Kosovo's attempts. "Given its weight and complexity, as well as the negative implications for the internal stability of the countries in the region and their security, the problem of illegal unilateral declaration of independence by the temporary self-governance authorities in Pristina can be specifically outlined", the draft says. It claims that recognition of independence "of this part of the territory of the Republic of Serbia" by individual countries around the world has a negative impact on the measures to strengthen confidence and cooperation in the region, and slows down the process of stabilisation. "The secession attempts" of the territory of Kosovo threatens Serbia's national interests, the draft document says. The style and the tone of the document do not leave any doubt that Serbia is not responsible for the current situation. Responsibility, as always, lies outside and especially in Kosovo itself. In the same style it is said that Bosnia and Herzegovina, too, is a source of risk because of the "attempts for revision of the General Framework Agreement for Peace in BiH", which also have negative consequences for the stability and security of the region. 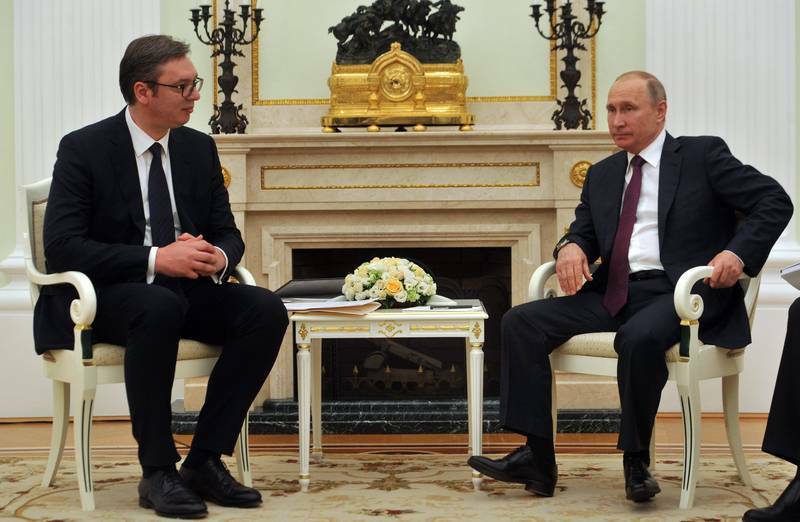 Serbia is worried that the Kosovo issue will trip it up on its path toward EU membership. The document says that it is essential the EU facilitated process of normalisation to remain status neutral. The draft expresses fears of possible armed rebellions by extremist groups in Kosovo. It is pointed out, however, that because of Serbia's decision to resolve all problems peacefully the possibility of various armed incidents is small. The unfinished process of border demarcation among the ex-Yugoslavia countries is described as another potential risk for Serbia's security. It is specifically pointed out that this is related in particular to the demarcation with some EU member states which could lead to "a significant problem in the process of European integration". The only EU member state with which Serbia still has unresolved border issues is Croatia. In the document, there are other hints about Croatia. In the introduction, it is pointed out that integration of the countries in the region could be slowed down by bilateral issues with EU member states from South-Eastern Europe. "These disputes could often be an occasion to slow the process of European integration down which is contrary to the practise of 'good intentions' and the provisions of the EU negotiations framework, which is related to the bilateral disputes resolution mechanisms to avoid burdening the process of European integration", is said in the document. 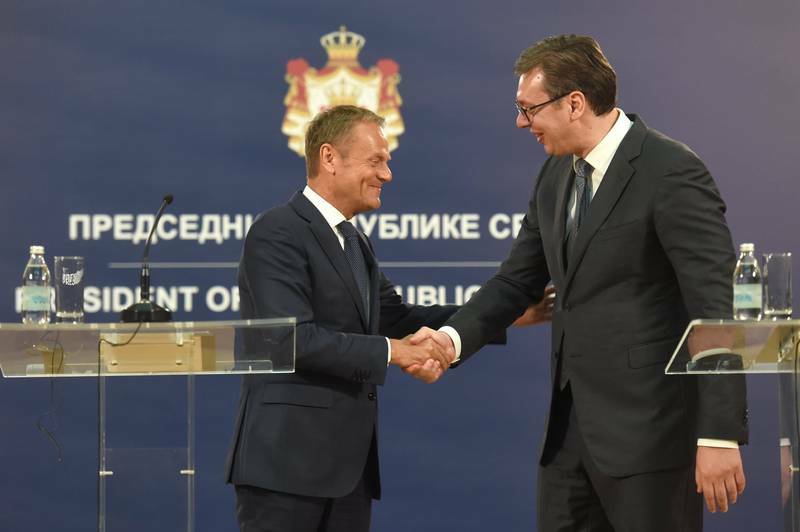 It does not mention the European Commission strategy for the Western Balkans, published earlier this year, and which states clearly that the Union will no longer allow countries with unresolved bilateral disputes in. The Serbian draft strategy also says that relations between countries in the region are an obstacle for settling the situation of minorities, resolving the missing persons issue, and the competences to pursue war crimes, as well as the issues of return of refugees, internally and externally displaced people, and the return of their property. Moreover, the strategy claims that risks of wars and armed conflicts on the territory of South-Eastern Europe are not to be excluded, although they have diminished. Membership in the EU is among the stated national interests of Serbia. The European values enjoy a couple of paragraphs in which Serbia commits to build a society where divergences are respected by promoting ethnic and religious tolerance, understanding and respect. It is not clear how does this fit in the context of the still not suspended term of Vojislav Seselj as a member of the Skupstina. The draft commits to "continue with progress" in legislative and institutional framework to create freedom of expression, pluralism and increasing impartiality of media reporting. In the same time, however, it is pointed out that one of Serbia's priorities will be to build "patriotic conscience as well as willingness to defend and protect the homeland in peace, emergency situations and war without ideological guidance and in line with the civilisational values of a developed society". Serbia will work also to maintain and improve links with the diaspora and the Serbs who live and work in countries in the region. The strategy commits to work for preserving their national, religious and cultural identity. "By stimulating patriotism in education of the population efforts will increase to develop feelings of loyalty and belonging in all citizens and community in Republic of Serbia to meet the security needs". 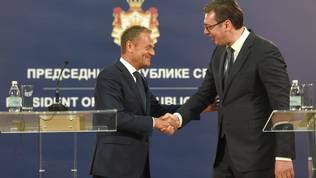 Serbia supports the European values and foreign policy objectives the way they are stipulated in the EU main documents, the strategy says. It is pointed out that Serbia will adopt as its own the main foreign policy principles of the EU, like respect for international law and multilateralism. Serbia also accepts the objectives stated in the EU Global Strategy for foreign and security policy but states that full harmonisation with European foreign policy can happen at the time of accession. 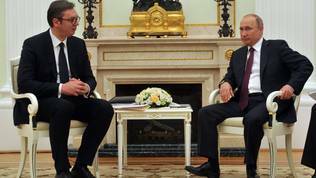 By then Serbia will continue with to "gradually align its foreign policy with EU positions". Taking into account that Kosovo is described as a major problem for Serbia and as a potential obstacle for its EU membership it is clear that Serbia will continue to work hard on deepening relations with Russia and other players which partially or entirely are unfriendly to the EU. A curious detail in the draft strategy is that although it says that Serbia will work for the full adoption of the European system of values in Serbian society and institutions, it also says that "in pursuit of further development of democracy, stability and prosperity of the region it is essential the Republic of Serbia to develop relations with the US, the Russian Federation, the People's Republic of China and the other traditional partners and major factors in the international community". Serbia reaffirms in the draft strategy its military neutrality but says that because of the changed geostrategic circumstances it will rely on the "integral and multilateral approach to security problems as defined in the concept of cooperative security". Forget about Kosovo? What a silly thing to say. You obviously don&apos;t know why Kosovo is important to Serbia or it&apos;s history. Perhaps Mexicans living in California should simply declare independence too? I&apos;m guessing that the US government would just roll over and say, sure that&apos;s fine! Then I&apos;m sure that you would be writing an article saying &apos;Forget about California&apos;... right?